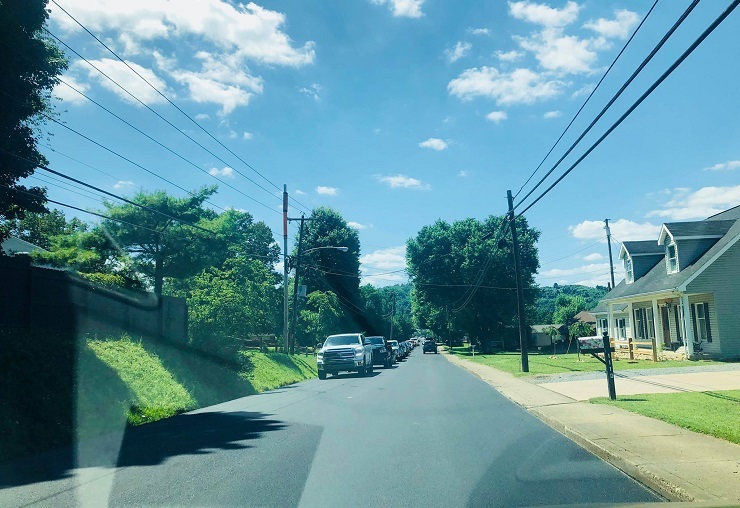 Paving of Johnson Avenue has been completed and paving of Main Street has begun, said Steve Ruppert, acting resurfacing coordinator, West Virginia Division of Highways. Crews finished up work on Johnson Avenue this afternoon. Temporary striping – the placing of line tape to distinguish lanes - should begin Thursday, July 12, with painting to follow. Those processes should not impede traffic as much as the paving process did, he said. Ruppert said the DOH has not been made aware by the contractor as to when the sidewalk work will take place, but that will not impede traffic in any way. “They will be working on one side at a time and the other side will remain open so people can cross over and still have an open sidewalk,” he said. Paving of Main Street began during the nighttime hours between Monday and Tuesday and until the job is completed, work will only take place at night, Ruppert said. Crews begin setting up around 6:30 p.m. with paving to begin around 7 p.m. each evening. Crews will work until 6-7 a.m. each morning. If all goes well, paving of Main Street should be complete by July 23. “That is if the weather stays good and nothing happens with equipment breaking down, etc.,” Ruppert said. Editor's Note: Photo was taken Monday afternoon during paving of Johnson Avenue.